The Sun is the most sustainable and renewable source of energy available to us. Although solar power is a widely talked about topic, most people are unaware of the real benefits it can offers us. Their knowledge is mostly limited to just the understanding that the Sun gives us heat and light energy. Utilizing solar energy in homes is a great way to reduce utility bills as well as carbon footprint. Cutting energy costs and improving the environment are the two common reasons why most homeowners prefer to go solar. Solar Powered Bluetooth Speakers: If you want freedom from the wires while listening to music, go for the solar powered Bluetooth speakers that lets you enjoy music, whenever you want, wherever you go. Not only is it convenient, it’s environment-friendly too. Solar Powered Flashlights: Solar powered flashlights and lanterns, when kept a single day in the sun are capable of storing power enough to last for days and even weeks. Ideal for traveling, camping, hiking, or an emergency situation, these flashlights will always be reliable whenever you need them. Solar Charging Phone Power Banks: Solar power banks have become one of the most sought after gadgets these days. These power banks don’t need an electric supply to get charged. They are Eco-friendly, long lasting devices that do not require any specific set up. 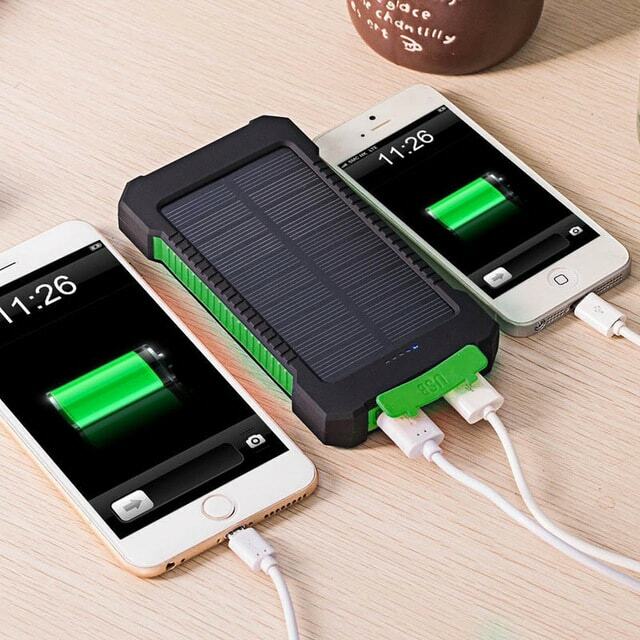 Just leave your battery bank on your dashboard, in your window, or on your backpack while traveling and you will always be able to charge any of your USB devices, anytime, anywhere. But that’s not all, they’ve much more to offer which you can check out by visiting their official website. The sun provides steady and consistent energy all through the year. Unlike other types of non-renewable energy sources that are likely to decline after many years, solar energy remains as a sustainable and renewable power. While high cost and availability of sunlight are two major drawbacks of solar power, the numerous benefits it offers outweighs these disadvantages. However, as technology improves, we can expect these disadvantages to be overcome, so that more and more people will start using solar energy.